Solihull January 29 2016. 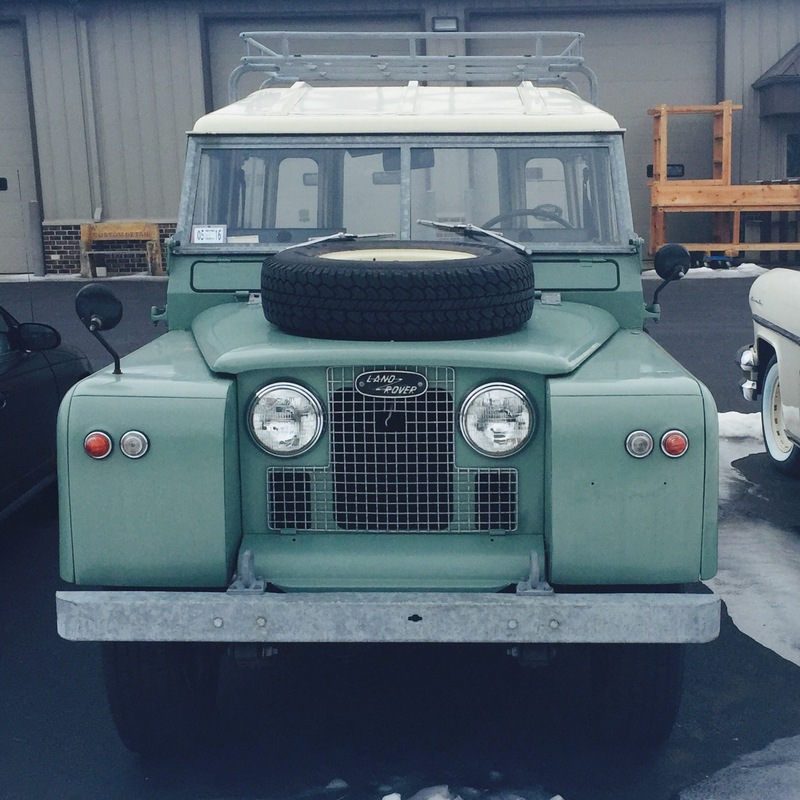 The last Land Rover Defender rolled off the assembly line after 67 years of continuous production. The US have their Jeep and the British the ‘Landy’. Earlier Series’ models and latter day Defender utility vehicles have been used on farm and battlefield both. Slow, basic, rattly and draughty; it was a basic tool. I remember smaller grouped field trips sat in the rear bench seats of the LWB 12 seater. Any color as long as it’s green with a cream roof… Desert or jungle expedition anyone? 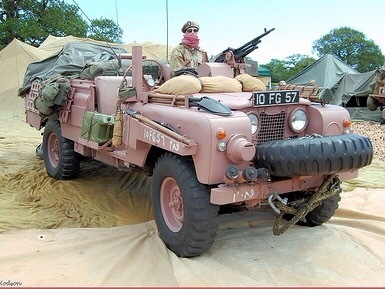 The Pink Panther: effective desert carrier for the SAS. 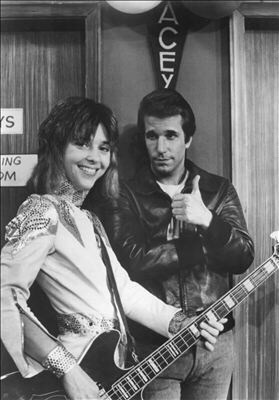 Leather Tuscadero played by Suzi Quatro, was the younger punk sister of Fonzies on again off again gal Punkie. 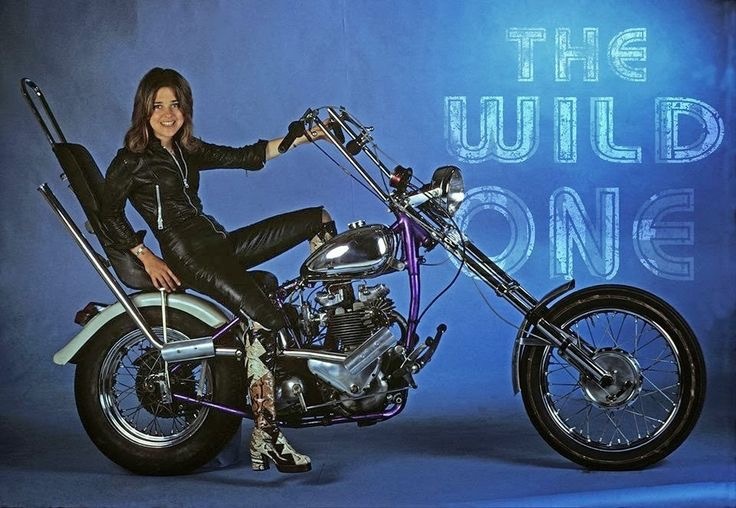 Suzi was also a pioneering woman rocker in the seventies helped with her growling vocals, big bass slapping and one piece race leather outfits. In her mid sixties she’s still belting out her hits. Can the Can? You be she can! It’s a spin-off blog starring a tabby cat called Charley. He’s a good workshop assistant and project supervisor. 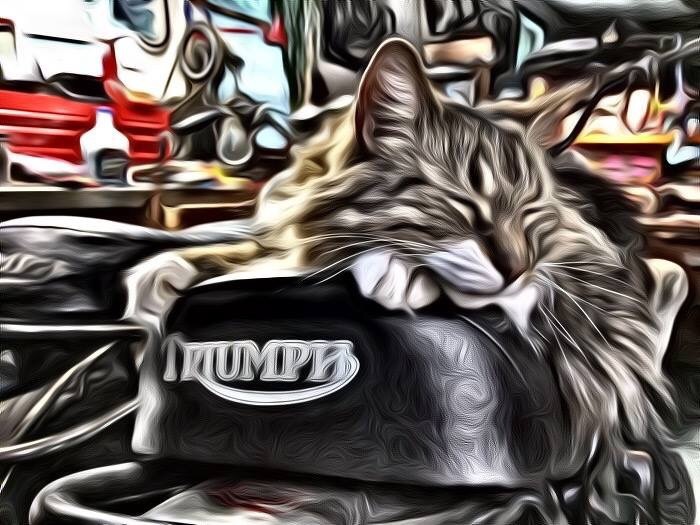 This cat and photo belong to Paul A Weeden from Stormstown PA. Racing art of a period British racer tearing through a screen print poster. Two colors is all it takes with the highlighted non printed white to add the sparkle of movement. Tres Bien! 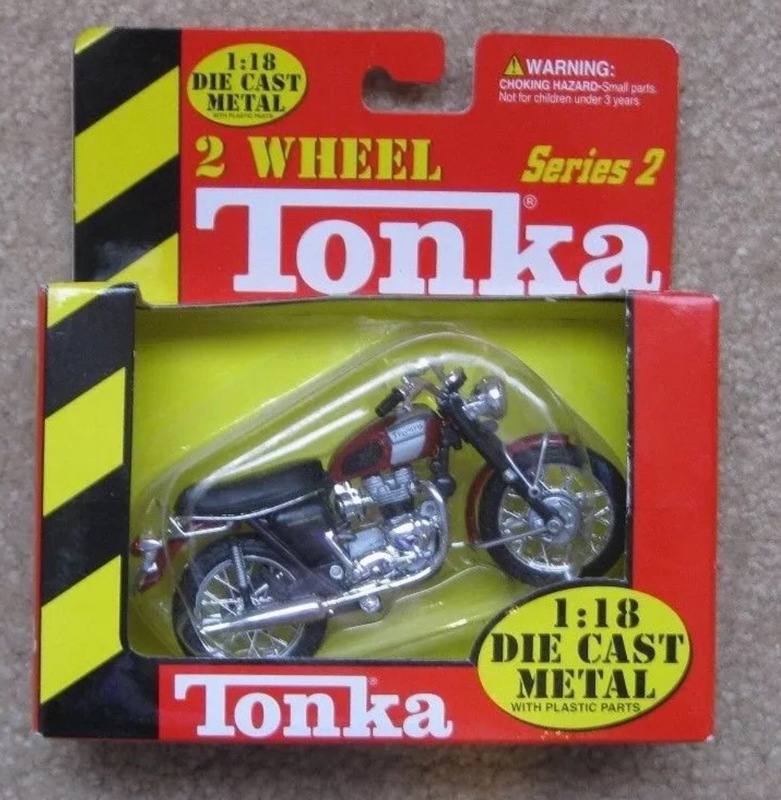 Tonka was a big deal growing up. 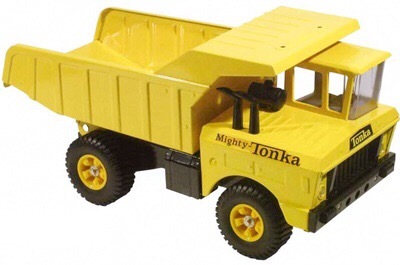 The pressed steel bodies could take the typical abuse from a boy in his dirt pile. 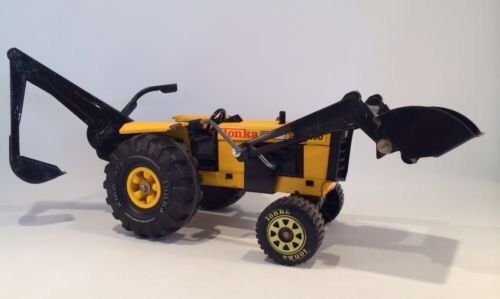 I yearned for the backhoe tractor with front loader “tractor with four diggers” is what I’d call it. Well I got it and managed to break it . 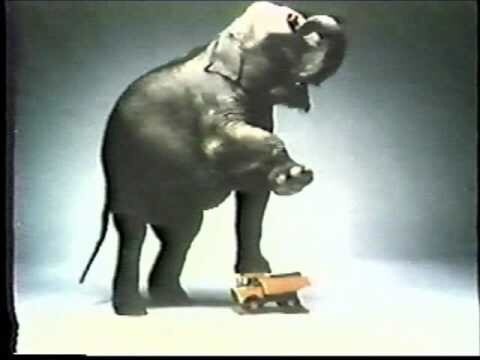 So my sister wrote to Tonkatoys in Minnesota (actually Mound MN on Lake Minnetonka) crying false advertising which stated an elephant could stand on their toy construction vehicles. So they wrote back in apology and send one of their Dump trucks in compensation. There’s customer service! A show held in a fortnight in Scotland’s Lanark. 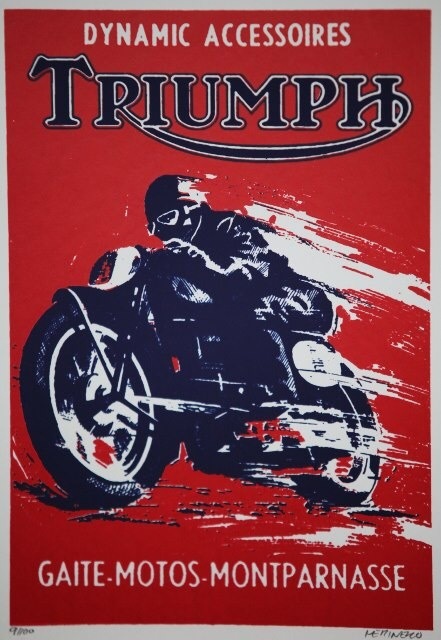 The Triumph crowd will all be there , Norton owners, BSA’s what a lark. 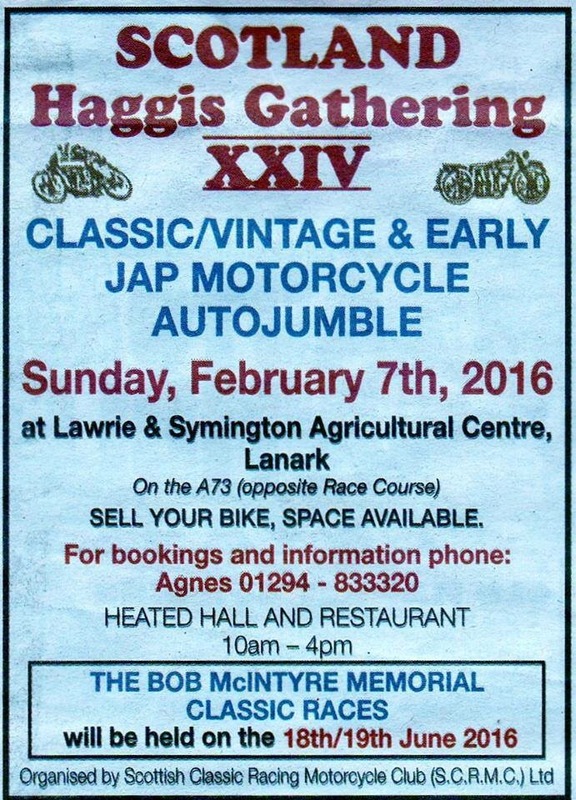 A few Kawasaki, Suzuki and Yamaha will compete with Hondas for the fair oh what a jumble. In this way Mr B will challenge the world. 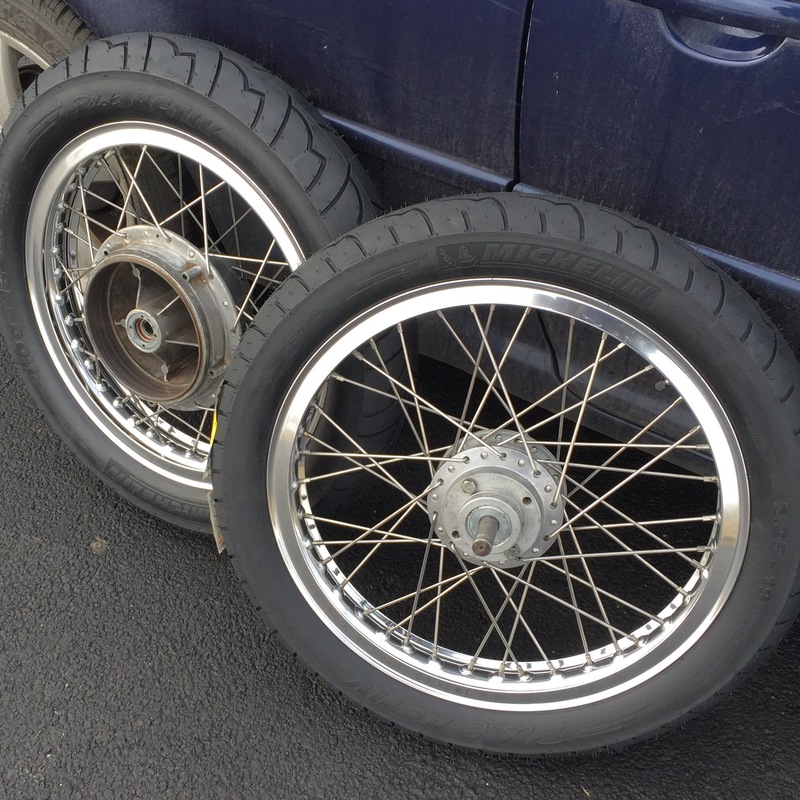 To assure you sellers have a home to sell your bike. 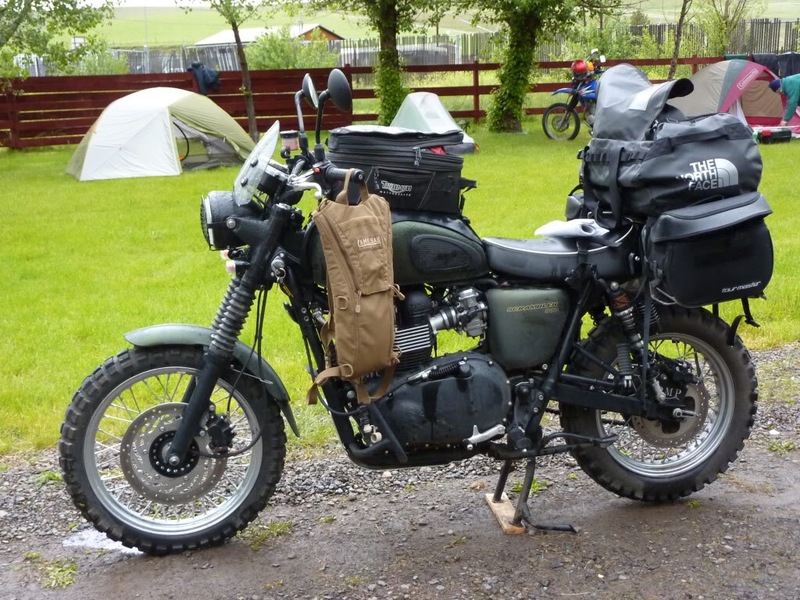 for jumbles of the two wheeled sort for parts you’ll like. Opposite the racecourse on the seventy three Mr B flies through heated hall and restaurant. And at Lawries and Symington mart this gathering is held. 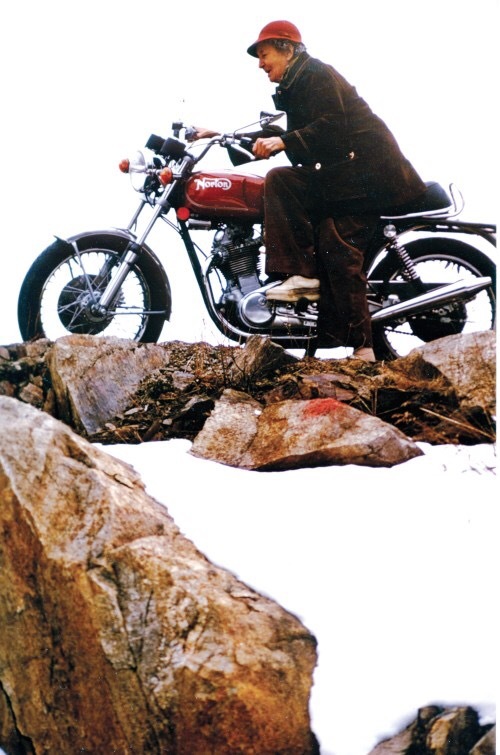 That old bikes can circulate around a track. But Sunday the Seventh haggis and chips are topping the bill. Benjamin and Elizabeth Neufeld’s car somehow ended up on its side on Linda Flora Drive as they were turning into the driveway of their Bel Air home on Friday. 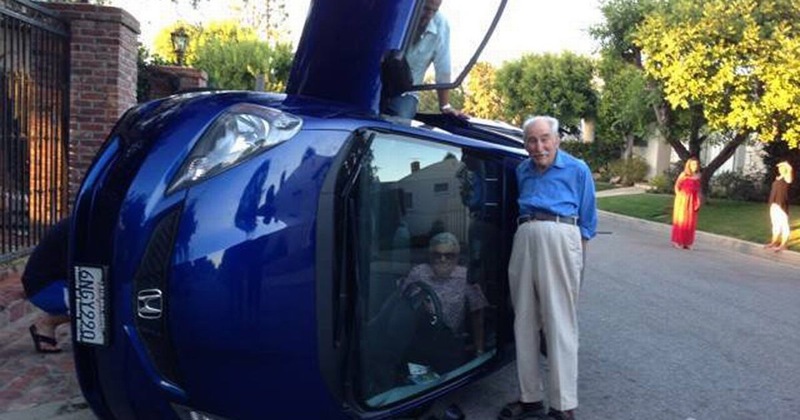 Benjamin Neufeld, 87, was able to climb out, but his 85-year-old wife, who was driving, was trapped inside the Honda. “It didn’t skid, it didn’t slide, it didn’t bounce, it just fell over,” Ben said. While neighbors and witnesses rushed to help, the Neufelds posed for pictures. “So I’m sending her pictures while she’s trapped in this car, and Ben is right outside the car just kind of going, ‘Hey, you OK in there?,'” photographer and neighbor Cara Steinberg said. Elizabeth Neufeld even asked for her purse so she could take a selfie while still in the car. Fortunately, the couple wasn’t hurt during the accident. They have been married for more than 60 years. 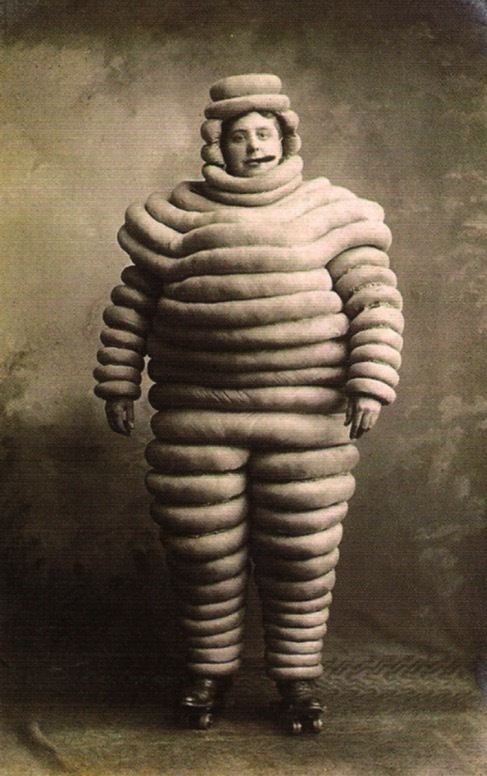 Old man Ben’s trousers declined to say anything… They were quite embarrassed by the entire proceedings. 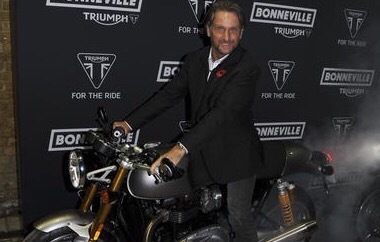 Foggy and another biker nut enjoying the launch of the latest muscle from Triumph. 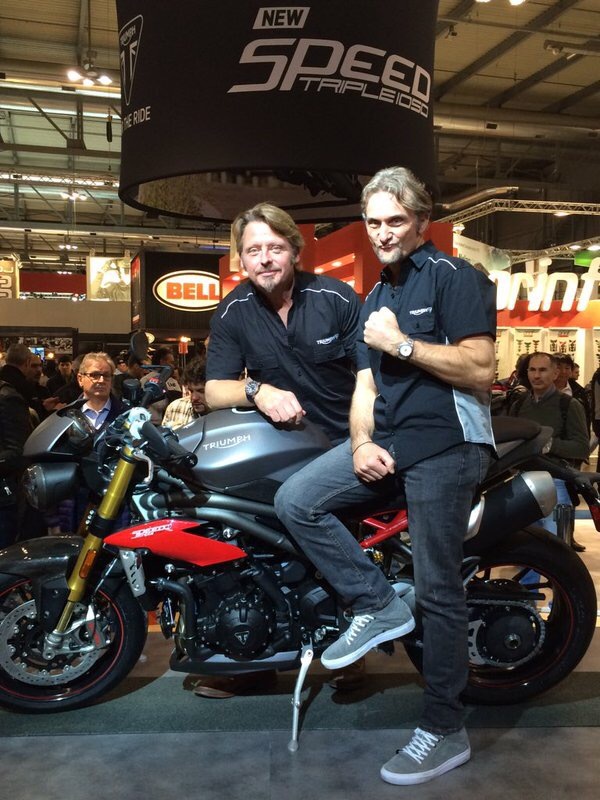 This is the Speed Triple and is a bulldog of a bike. The other fella is globetrotter Charley Boorman. I like Texas the red hat echoes the Norton emblazoned tank. 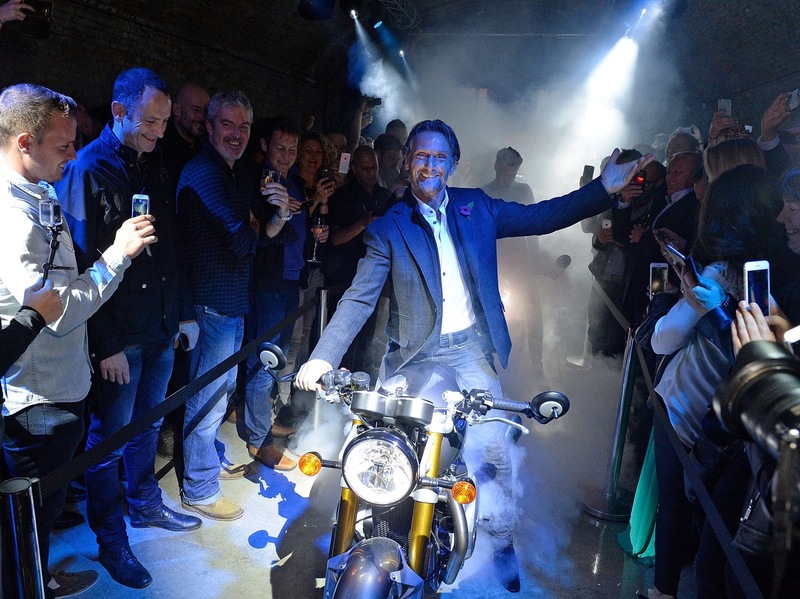 Foggy is seen here riding in style on one of the new Triumph at a launch event recently. Former superbike King and Ducati rider seeing him on British fare is a good sight. He won’t the reality show “I’m a celebrity GMOOH!” A couple of years back- probably psyching out the opponents with those intense eyes. That silver Thruxton R is my favorite bike right now. 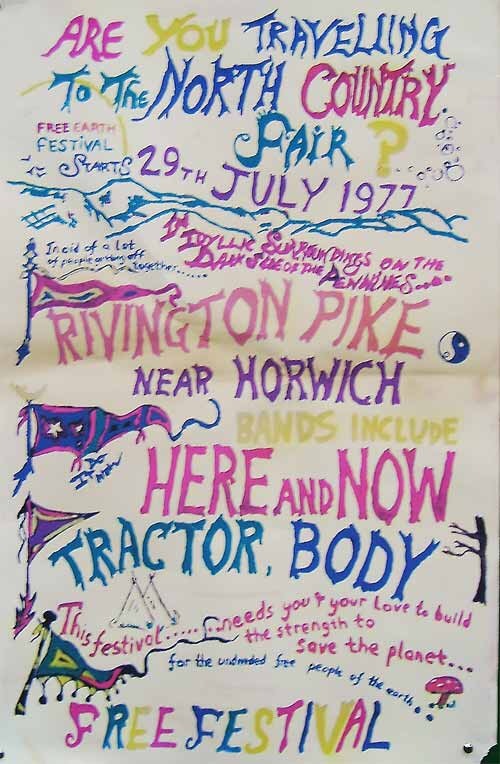 Back in ’77 summer was enjoyed at numerous gatherings of hippies and music enjoying earthy fun in the countryside of a bucolic England. Bring your tent, tie dyes and bell bottoms. 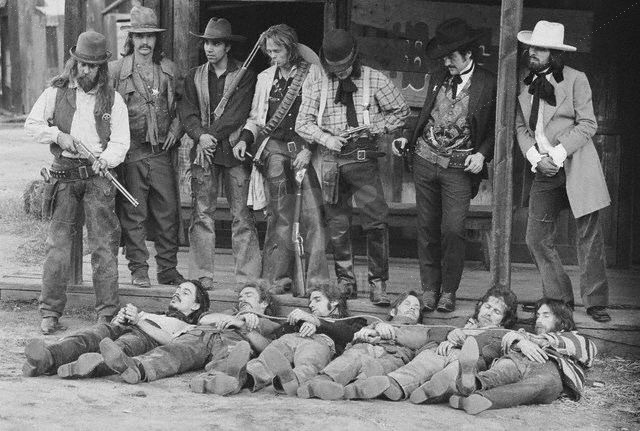 However carefree gathering can attract others looking for lawless shenanigans. 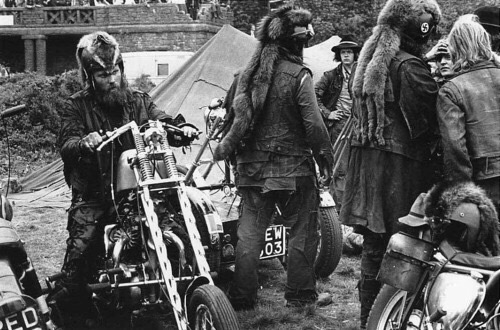 The Hells Angels turn up on their chopped Triumph, BSA’s and Nortons along with pelt headdresses. Save the Planet! More hash fudge and ‘shrooms. You better let somebody love you before it’s too late. The Eagles are one of the best soundtracks of the open American highway . How! Di ye diy art de ye? 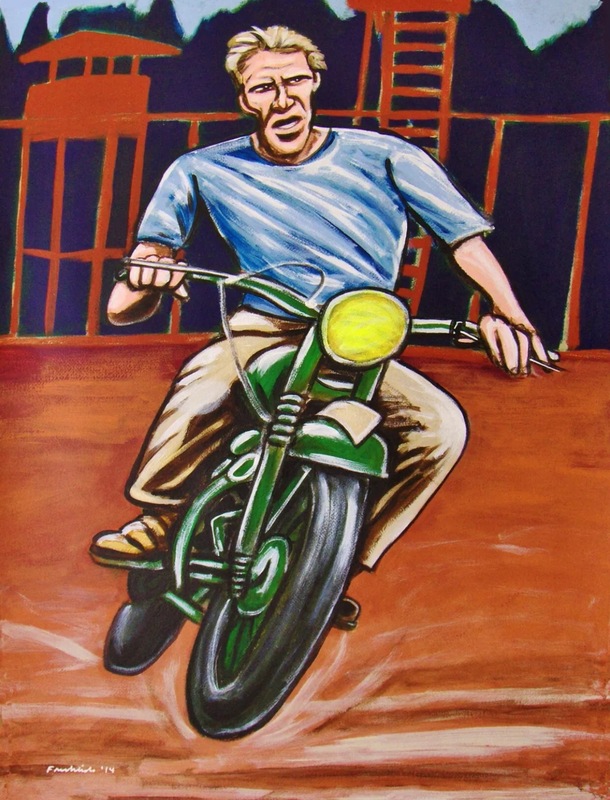 Powerful paintings of icons on Triumphs by John Froehlich. 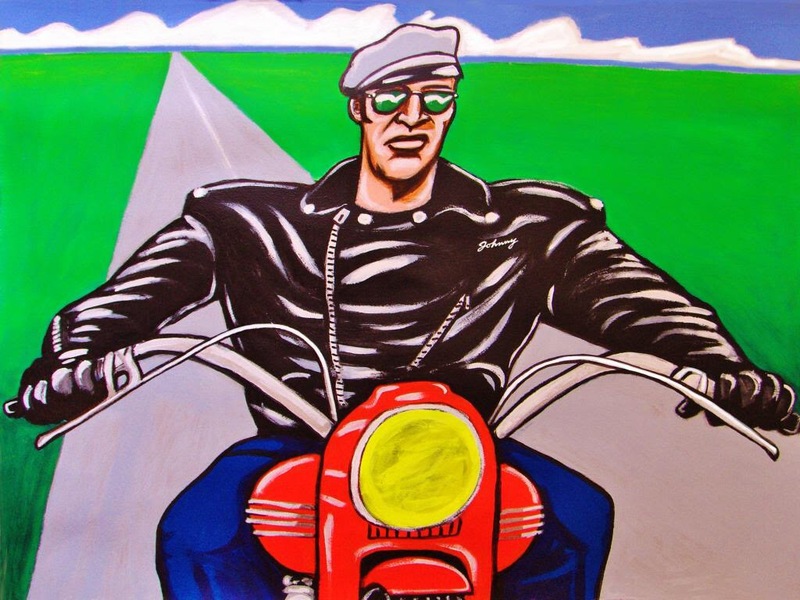 Slight abstraction of classic images depicting Steve McQueen as Hilts and Marlon Brando as Johhny.